Remember when television used to be a safe place? Back in the old days, we'd see the same crew of characters once a week, and all their problems would be resolved in 30 minutes. Nobody died, everybody did a group hug at the end, and a valuable lesson was learned. Nowadays, we're living in the Golden Age of Television, which means nobody's safe anymore. Storylines spread across 13 episodes or more, and favorite characters get their heads busted up with baseball bats. The TV revolution has also upped the ante with complex writing, stronger direction, and higher production values. One of the weirdest storytelling tricks that your favorite TV shows now employ just as cleverly as the movies is subliminal messaging: the art of sneaking little clues, imagery, or hints right in the corner of your eye. Get ready to have your brain snapped around like a rubber band because once you know how ingeniously these shows have been messing with your head, you'll never trust TV again. Lost was loaded with more hidden messages than a bag full of fortune cookies. The series played in the sandbox of many world mythologies, with the prime representative of Christianity being the fan-favorite Mr. Eko, a violent Nigerian guerrilla turned Catholic priest. The sheer awesomeness of Eko is unparalleled, but one of the coolest features of his character arc is that the series employs subliminal messages to hint at his story ahead of time. Mr. Eko wields a big wooden stick with the numbers of Bible passages carved into it. Why? Locke says it's "because he's a priest," and that's all we need to know. However, if you're one of those curious viewers who paused the screen on closeups of Eko's stick, then you know that the specific Bible passages scrawled into the wood explain Eko's entire story, as analyzed by John Ankerberg's book What Can Be Found in Lost? These referenced passages include Titus 3 — which tells of sinners living in "malice and envy" but finding salvation in God, thus explaining Eko's background story before the show does — and Acts 4:12, a subtle clue about Eko's less-than-authorized role as a priest. Most importantly, Eko's Jesus Stick contains the famous Psalm 23: "Though I walk through the valley of the shadow of death, I will fear no evil: for thou art with me; thy rod and thy staff they comfort me." Used here, this passage refers to Eko's final encounter with the smoke monster. Even though The Simpsons has been on the air for a mind-boggling three decades, the denizens of Springfield still look really … strange. The yellow skin and blue hair are weird enough, not to mention whatever bizarre cartoon magic is going on with Lisa's spiky head. On top of that, no one in all of Springfield has normal hands. They all have four fingers or, well, three fingers and a thumb. Why is this irregularity so consistent among everyone in the entire town? To be fair, most cartoon characters in history have had four fingers. As the A.V. Club points out, it's just easier to animate, plus a lot of other reasons. However, in the strange, yellow-tinted world the Simpsons occupy, there's at least one powerful being who possesses supernatural hands loaded with an entire five fingers. That being, of course, is God. Yes, when God takes some time out of his schedule to hang out with Homer in the episode "Homer the Heretic," the divine creator has five-fingered hands (and five-toed feet), just like we do. It's a subtle detail, hard to catch if you're not looking for it. This clever subliminal message raises many questions, though. Is God the true animator of the Simpsons? Is he one of us, in the real world, and that's why he has our hands? Furthermore, if there's a God in our world … does s/he have six fingers? Hmm. There's certainly nothing subliminal about how many beloved characters get brutally slaughtered on Game of Thrones. Nope, nothing subtle about that. Anytime you start rooting for a character, it seems like their head gets busted by the Lannisters or their minions. However, there is some brilliantly subtle subliminal messaging that goes into the character's medieval costumes, which are designed by Michele Clapton. As Clapton tells Fast Company, she uses these costumes as a form of storytelling, decorating each outfit with tiny details such as the dragon-like blue scales on Daenerys' dress. That's why everyone looks so cool. Perhaps the most ingenious bit of subliminal messaging that Clapton wove into a Game of Thrones outfit is on Sansa Stark's wedding dress. Sansa wears this outfit when she is married into House Lannister. The dress depicts a direwolf — the sigil of House Stark — being wrapped up and dominated by a lion, the sigil of House Lannister, just like House Stark itself is being dominated. Symbolism! Then, the details get even subtler. Embroiderer Michele Carragher described on her website how the colors of the dress, hinting at the families those colors represent, tell Sansa's entire story. The red weavings depict the growing influence of the Lannisters on Sansa's psyche, just as the series itself shows her slowly evolving to be more and more like those manipulative blond scoundrels. Yep, that's right. In the Golden Age of Television, even a more conventional multi-camera sitcom like How I Met Your Mother isn't safe from the dark psychic powers of subliminal messaging. How I Met Your Mother certainly didn't employ this esoteric black magic on a regular basis, but it did make clever use of subliminal tactics in the episode "Bad News." The episode plays games with potential reveals, making viewers wait for the end of the episode to find out what the titular bad news is. However, the most clever trick played by the show runners, as described in The Atlantic, is the placement of the number "50" in the background of the first scene, immediately followed by a "49." From that point on, the countdown begins, and every scene shows the next number placed in some subtle way. A character drinks a beer with a 48 on it. A book is titled 40. A calendar is turned to the 21st day of the month. Any viewers who are sharp-eyed enough to have noticed the numbers know that the bad news is inching closer and closer, like the sort of awful root canal that you know you need to get, but you'll do anything to push off until a little later. Finally, at the end of the episode, the countdown reaches 1. The news is revealed, and — as expected — it's quite bad. The Walking Dead started its run by depicting the end of the world, but somehow, things have only gotten worse since then. Zombies used to be scary, but these days they seem like cuddly stuffed animals compared to the nasty humans that Rick, Michonne, and Carl have encountered. Particularly that guy with the baseball bat. He's really nasty. In a clever sleight of hand, as the characters have evolved throughout the series, so have the opening credits, as noted by Heavy. In The Walking Dead, the "heroes" have been forced to compromise their moral values in worse and worse ways. Their humanity has been "decaying" since Day One, to the point where they sometimes seem more like villains. 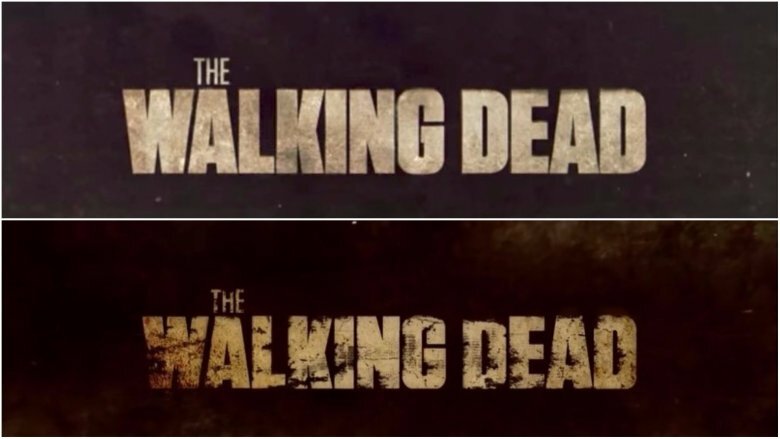 Meanwhile, the title card presented at the beginning of every episode — y'know, that font saying The Walking Dead — has also been decaying. Every season, the title card gets more gross and muddied. This transformation also mirrors the walkers themselves, who at this point are so rotted out that it's a wonder their ankles didn't snap years ago. But there's hope on the horizon, because the title card for Season 8 of The Walking Dead is like a heavenly gift. It's bright, untarnished, as pristine as that new kitchen island you've been eyeing. This signals a change in the fortunes of our rundown protagonists, which makes sense, since the end of Season 7 saw them finally rebelling from the authoritarian rule of that aforementioned nasty guy with the baseball bat. 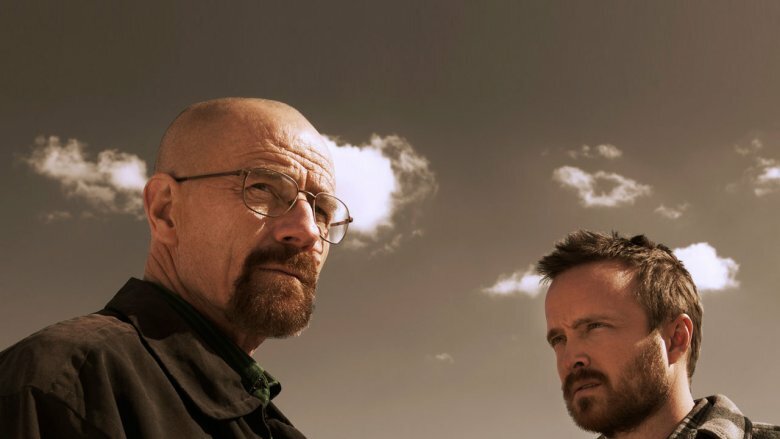 Centuries from now, when our big-headed, alien-hybrid descendants are sorting through the remnants of our society, trying to piece together clues about what kind of wackjobs we really were, a little show called Breaking Bad could be regarded as the Shakespearean epic of our time. Breaking Bad is basically the ultimate TV show. It does everything right. It's got character progression, fantastic writing, great acting, and, of course, subliminal messaging. Every item, scene, and moment in Breaking Bad is there for a reason, particularly when it comes to the show's use of color. Breaking Bad's color coding has been written about a lot, with major publications like Slate and Time both putting in their two cents. To briefly summarize, the colors that any character wears on the show will hint at what's going on in their head. When we first meet Walt, he's a mild-mannered creampuff who wears the mild, muted colors of a potato sack. When Walt becomes Heisenberg and starts getting drunk on power, his wardrobe switches to darker, stronger colors. But in Walt's moments of insecurity, such as when his cancer comes back, or when he's pushed into giving up his meth business, Walt immediately switches back to his milder khaki color scheme. Walt isn't alone in this, though. Throughout the series, every character from Jesse to Skyler to Hank cycles through different colors to represent their emotional growths, struggles, and traumas. It's crazy stuff. Next time you rewatch the series, start keeping color tabs. Anyone who has ever played the Half-Life games, back before Valve decided that decade-long cliffhangers were the best thing ever, remembers the G-Man. He was that creepy white guy in the blue business suit, who just appeared in the background, watching whatever crazy shenanigans Gordon was up to. It'd be great if a TV series employed the same trope, wouldn't it? Well as it turns out, Fringe did this neat little trick across multiple seasons. Furthermore, Fringe makes the whole shady G-Man trope even creepier than Half-Life did. See, hidden within every single episode of this sci-fi series is a so-called "Observer," a bald man in a business suit who lingers in the background and watches whatever weird stuff is going on. Yes, every episode. Sometimes the Observer is eating food. Sometimes he's just standing there. But he's always there, like the stalker we've all had nightmares about. If you feel like nailing boards over their windows, you're excused. After spending multiple seasons giving fans the willies, the Observers were finally revealed in the episode "August," according to Syfy. However, just to make things even creepier, Fox marketed this reveal by having an "Observer week," where Observers popped up in little subliminal ways within all of Fox's programming, appearing in such unlikely places as So You Think You Can Dance. So yeah, don't look out the window, don't answer the door, and don't pick up any calls, because they're observing you. Even though the star of Netflix's Daredevil is a blind man, the series plays heavily with color-coded subliminal messaging. 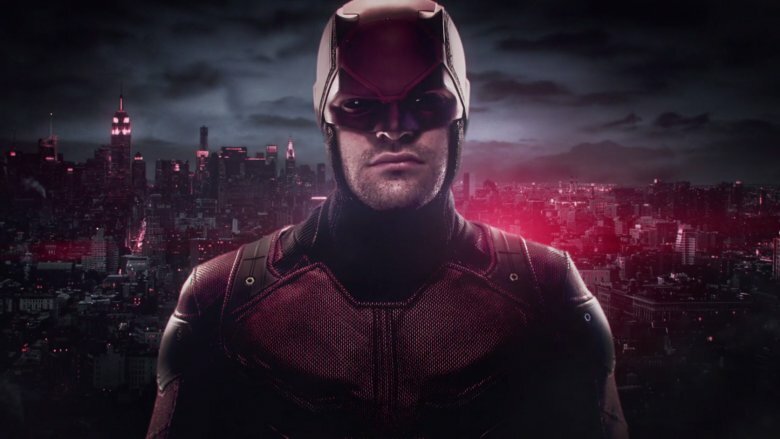 Though Daredevil's fight scenes are some of the most intense, realistic battles in superhero history, the best part of the show is when it delves into the psychological trauma that turned Matt into a costumed vigilante … and the darkly similar path taken by Wilson Fisk, a driven intellectual with the temper tantrums of a child. In the original comics, Fisk called himself the Kingpin and always wore luxurious white suits. But in Daredevil's first season, Fisk never uses this name, and he wears black instead. According to actor Vincent D'Onofrio in a Cinema Blend interview, the black outfits show that Fisk isn't Kingpin yet. He's just Fisk. Which, frankly, is terrifying enough. But pay attention, because Fisk's progression into Kingpin is shown through clever color coding: the more evil Fisk gets, the lighter he gets. Later, when Fisk's girlfriend, Vanessa, convinces him to go public, she also steers his fashion sense toward lighter gray suits. It's not until Fisk's final scene of the season, sitting in a prison cell, that he finally wears white. This color coding plays a key role in Fisk's psychology. 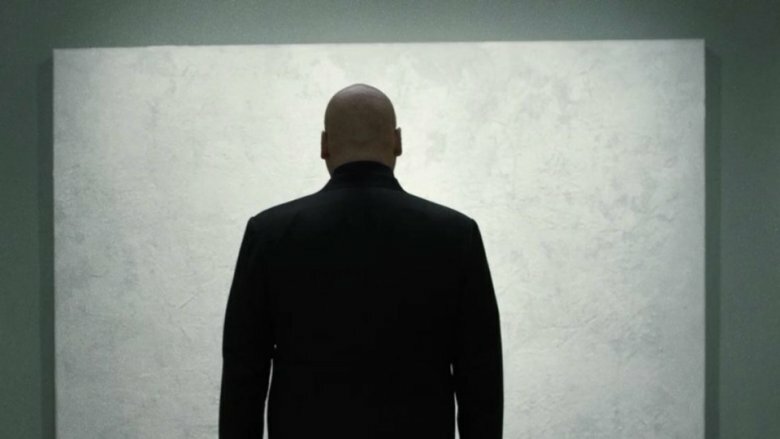 As a boy, Fisk's father forced him to stare at pale walls as a punishment. Thus, the color white symbolizes Fisk's rage. When he finally wears white, it means he has accepted the rage within him, which is bad news for a certain blind lawyer. People either loved, hated, or were furious about 13 Reasons Why, but there's no question that Netflix's adolescent suicide examination was the most talked about series of 2017. The show's 13 episodes tell the story of Hannah Baker, a teenage girl driven to suicide. Throughout the season, the show's protagonist Clay Jensen — who had been in love with Hannah for years — listens to tapes she recorded explaining why she did it. 13 Reasons Why plants a subliminal clue into a key sequence, where Clay briefly loses himself in the fantasy montage of an alternate reality wherein he and Hannah could've happily been together. During the scene, the background music is Hamilton Leithauser's single "A 1000 Times," which notably contains the lyrics "The tenth of November, the year's almost over." Most viewers probably aren't listening to the lyrics at this point because seriously, so many TV shows play songs over montages, and who ever listens? Those songs are usually just picked because the director likes them, right? Well, in this case, there's actually a hidden meaning. In the season finale, the students referenced in Hannah's suicide tapes are brought in for filmed depositions. The date of the depositions is quietly displayed on screen, and it's — you guessed it — November 10 (via MTV). As far as the whole "year's almost over" thing, this probably signifies that as these students confess, some degree of closure will finally be brought to Hannah's parents. Let's reopen that box of crayons one more time for another examination of color-coding. The 2004 reboot of Battlestar Galactica took the human vs. robot concept from the original series, combined it with fascinating political debates, and then injected it with a sharp dose of political controversy. One of Battlestar's most popular characters is Gaius Baltar, a sleazy and egotistical genius. In the pilot episode, Baltar accidentally plays a major role in ending the world due to his sexual relationship with a Cylon sleeper agent, Number Six. Throughout the series, Baltar hallucinates — or does he? — a vision of Number Six. These hallucinations are so influential on him that he soon begins a sexual "relationship" with this ghostly Six. According to the book Finding Battlestar Galactica, this is where the subliminal color-coding comes in. Six almost always wears red, signifying lust and sexuality. But sometimes, she wears other colors, like blue or white. When she's wearing other colors, it signals that a change has occurred in the emotional relationship between Baltar and Six, and that Baltar's current storyline is about to rapidly shift gears. Finding Battlestar Galactica further explains that the color red plays a major role in the series as a whole. A red glow is often used to light up a character's face when they're experiencing heavy emotional trauma. Intense mood shifts are often highlighted with red. So if you're watching Battlestar Galactica, and you see red, fasten your seatbelts.